There is no doubt that comminution is the hot topic in mineral processing at the moment. It is by far the greatest energy consumer, so methods are being sought to improve efficiency by new and improved machines and circuits, and better control and optimisation of the circuits. All these aspects of comminution will be highlighted at Comminution '14 in 3 months time, so it is an opportune time for me to recommend an excellent article published in the CIM Magazine. Authored by Eavan Moore, the article is a series of interviews with the top names in comminution, many of whom will be presenting work at Comminution '14, including MEI Consultant Malcolm Powell, Steve Morrell, Grant Ballantyne and conference sponsor Metso's Jonathan Allen and Walter Valery. The paper discusses energy efficiency and circuit improvements, and ends with the question "what will a standard circuit look like in 10 years' time?". Alan Muir, of AngloGold Ashanti asks the provocative question "Can comminution be done away with altogether?" He thinks that this is a question worth posing, and will be addressing it in a keynote lecture at Comminution '14. I never tire of seeing this- surely the best road sign in the world?! Look out for it on the A30 when entering Cornwall (hopefully for an MEI Conference!). The rapid growth of the world economy is straining the sustainable use of the Earth’s natural resources, due to modern society’s extensive use of metals, materials and products. An astute and conscious application and use of metals, materials and products supported by the reuse and recycling of these materials and end-of-life products is imperative to the preservation of the Earth’s resources. MEI's 3rd International Symposium on Sustainability through Resource Conservation and Recycling '14 (SRCR '14) will discuss all aspects of material and metal usage in a 2-day event containing over 40 papers from authors representing 18 countries, including a keynote lecture by Prof. Markus Reuter, of Finland's Outotec, on the opportunities, limits and infrastructure of metal recycling. 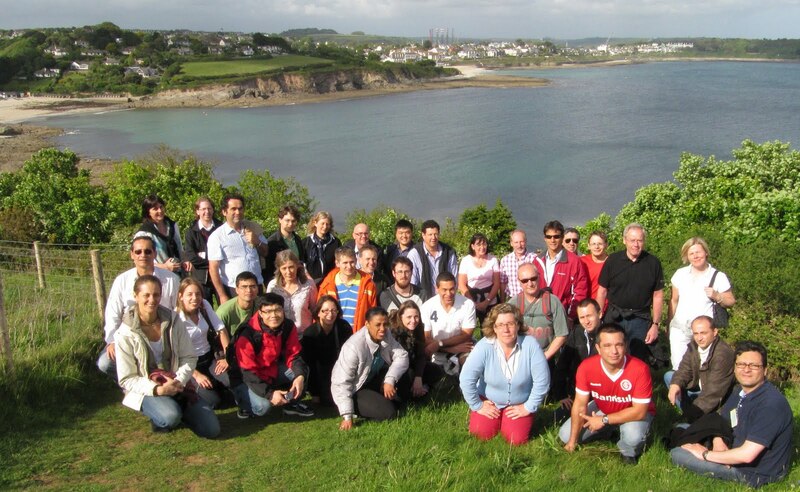 It will be a great week in Falmouth, as SRCR '14 immediately follows Biohydromet '14 at the same venue. Beneficiation of Phosphate Ore, by S. Komar Kawara and J.T. Carlson, examines various methods for processing phosphate rock, an important mineral commodity used in the production of phosphoric acid. •Beneficiation of Igneous Phosphate Ores. 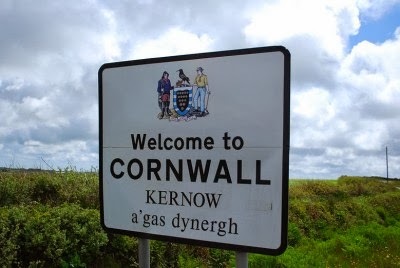 Cornwall is a unique area of England. 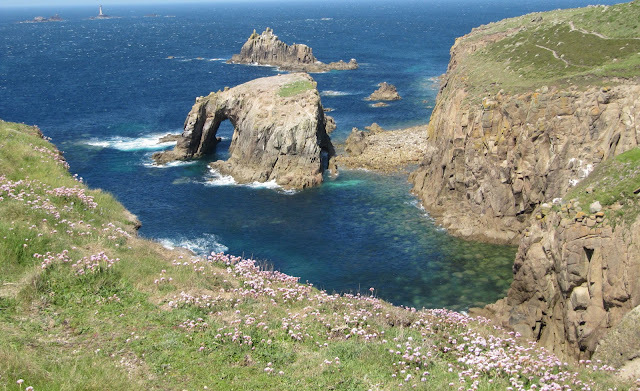 Situated in the remote South West it has changed little over the centuries. 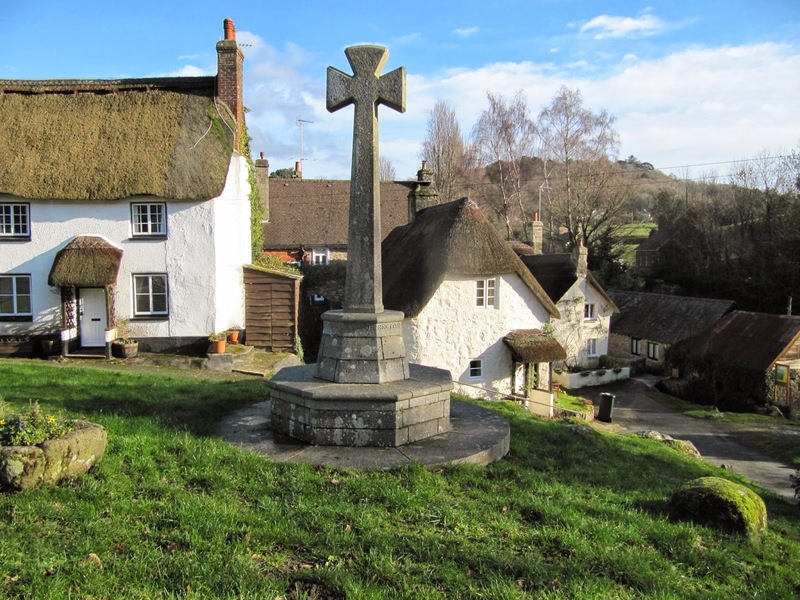 Even today it has retained its early Celtic roots, being almost untouched by invasions from Romans, Saxons, Vikings and Normans, who moulded the history and culture of the rest of England. It's hard for today's traveller to appreciate how difficult travel to and from the county was before modern road and rail transport. 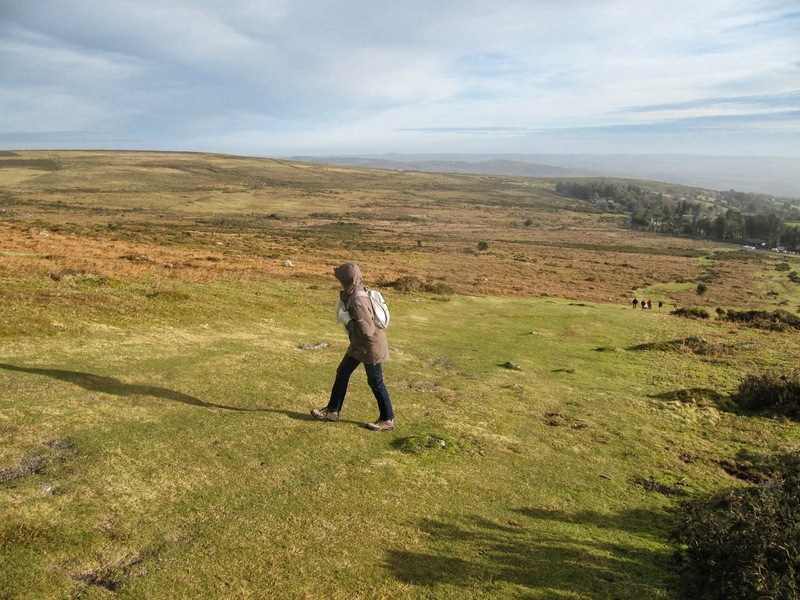 Two inhospitable moors guard the entrance to Cornwall, the main A30 trunk road passing directly across the formidable Bodmin Moor, but the larger obstacle lies in neighbouring Devon - the vast wilderness of Dartmoor. Barbara and I have just spent the weekend in the eastern area of the National Park, in the village of Ilsington, and as in our previous visit (posting of 28 August 2009) enjoyed the contrast between walking the wild and desolate open moorland with its famous granite tors, and the gentler woodland walks, as in yesterday's 9km circular walk from Bovey Tracey to Lustleigh. 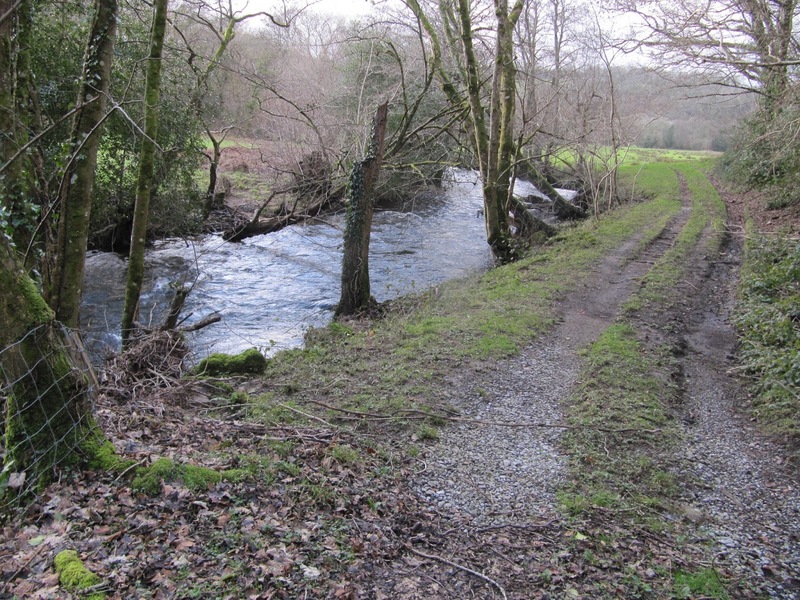 The A30 skirts the northern section of the park near Okehampton, so if you are travelling to an MEI Conference in Falmouth by car, I would highly recommend a couple of nights in this wild and beautiful area. You may even catch a glimpse of The Hound! 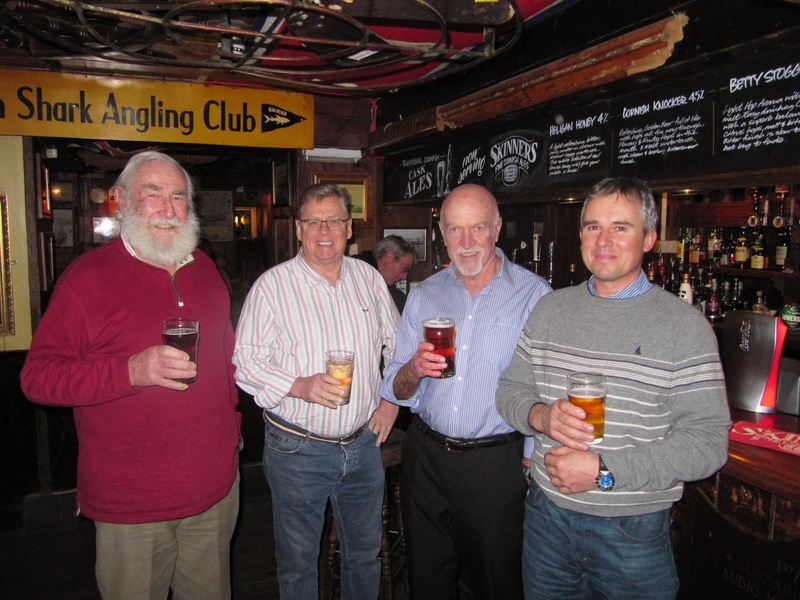 Despite the bad weather over 25 people made the effort to attend the first Cornwall Mining Sundowner of the year last night at Falmouth's Chain Locker pub. Among the regulars was 'CEO of the Year' Nick Clarke and, making his first appearance, biohydrometallurgist Paul Norris, formerly with the University of Warwick, now at the University of Exeter in Cornwall. Paul was a keynote speaker at Biohydromet '12 and will be presenting work at Biohydromet '14 in June. 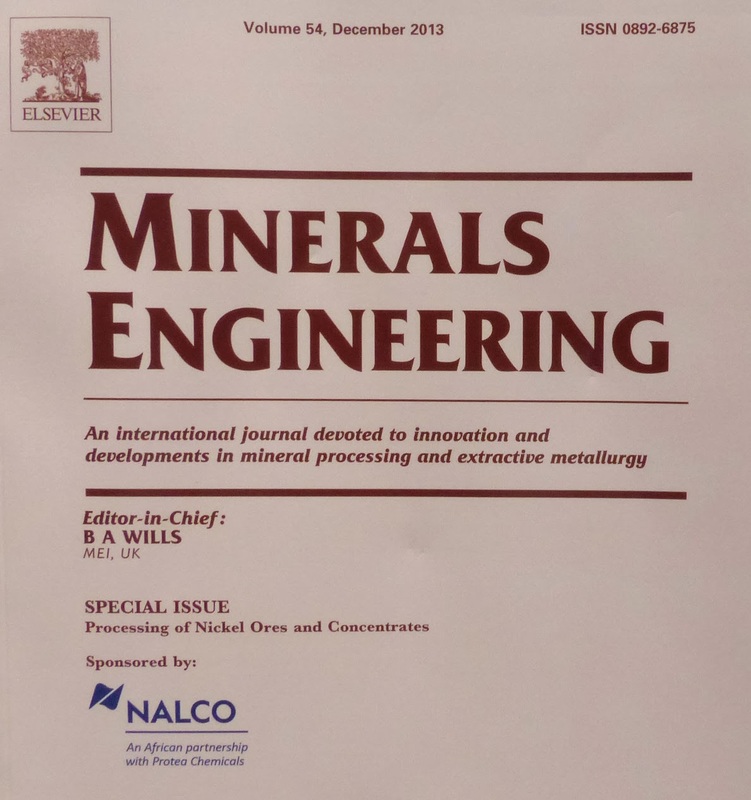 Fifteen selected papers from Nickel Processing '12 have now been published in a special issue of Minerals Engineering, and are also available on ScienceDirect. The Proceedings of the conferences, containing unrefereed papers, is available from MEI. 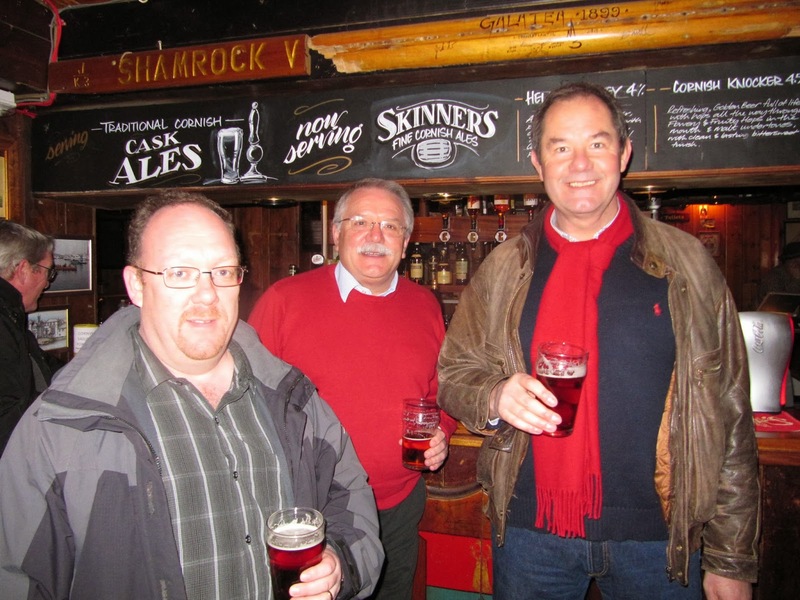 The next conference in the series, Nickel Processing '15, will be held in Falmouth, UK in May 2015, running back to back with Precious Metals '15. 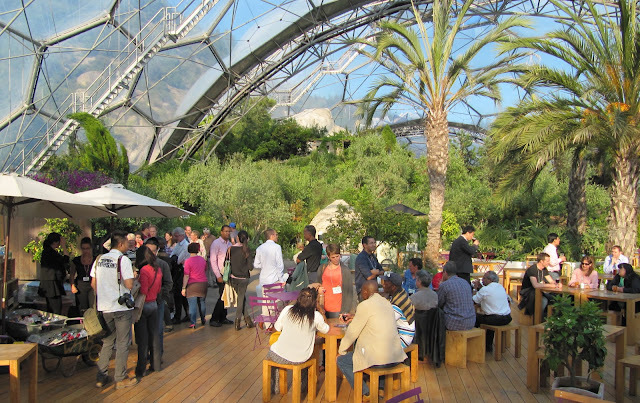 If you are involved in any way with biohydrometallurgy, then book your place for Biohydromet '14 which will be held in Falmouth in June. There is a very strong international programme, with keynote lectures from Prof. Barrie Johnson of Bangor University, UK, and Dr. Corale Brierley of Brierley Consultancy, USA. In all 50 papers are scheduled for presentation with authors from 24 countries. 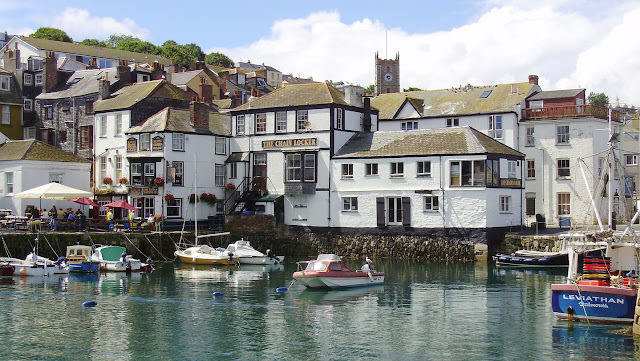 It will be a great networking event in the beautiful Cornish resort of Falmouth, with a conference dinner at Cornwall's famous Eden Project, and the optional coastal path walk to old Falmouth for local beers at the 17th century Chain Locker pub. Take a look at the timetable- if you are interested in presenting a paper, I am sure that we can fit you in. And why not stay on for SRCR '14 which immediately follows Biohydromet '14. More details can be found on the 4th November posting. With Comminution '14 less than 3 months away, and Process Mineralogy '14 taking place at the end of the year, it is good to see that Cape Town has been ranked as the top holiday destination for the year by British newspaper The Guardian and the US's The New York Times. The news was welcomed by Western Cape tourism's Alan Winde on Monday. "This is great news for our city's tourism sector and excellent publicity for our destination," he said in a statement. 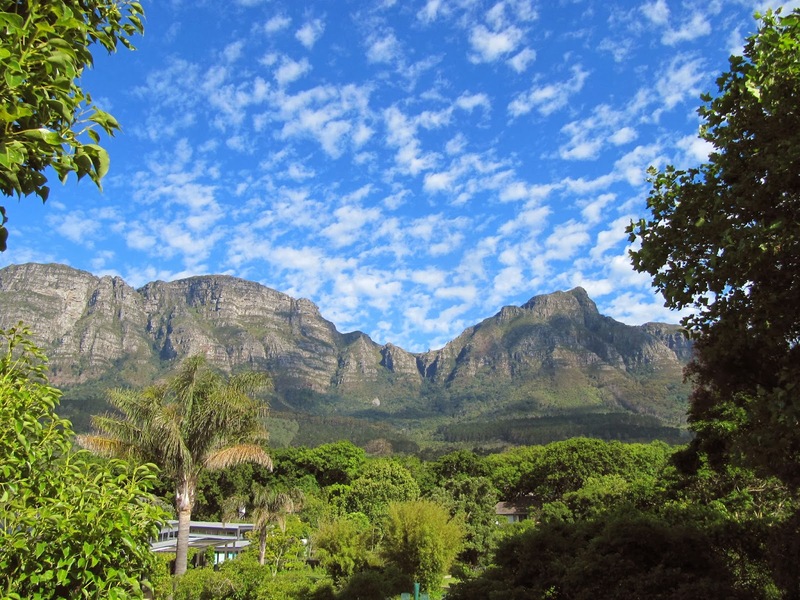 "These awards will no doubt help to elevate Cape Town to the top of travellers' bucket lists." Cape Town topped The Guardian's list of holiday hotspots for the year. The newspaper also emphasised the city's election as World Design Capital 2014, and mentioned the trendy cafes and restaurants to be found there. "I am confident that our inclusion in the travel lists of these top publications, coupled with the World Design Capital, will help us to achieve our aim of drawing a record number of travellers to our beautiful city in 2014," Winde said. Let's hope that a good proportion of them are MEI Conference delegates. If you are attending any of our forthcoming events at the beautiful Vineyard Hotel, try to stay on for a few days and savour some of the delights of the Cape. Contact us for suggestions if you are new to the area. 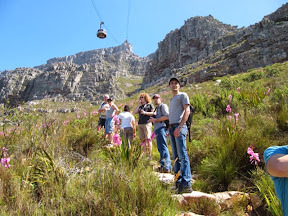 You may wish to take part on our guided hike up Table Mountain, which takes place after each conference. Jon, Amanda and I had an excellent pub lunch today with Diana Drinkwater, the Technical Programme Manager for the JKTech, Brisbane. and the first woman to be elected to the International Mineral Processing Council (posting of 16th October). 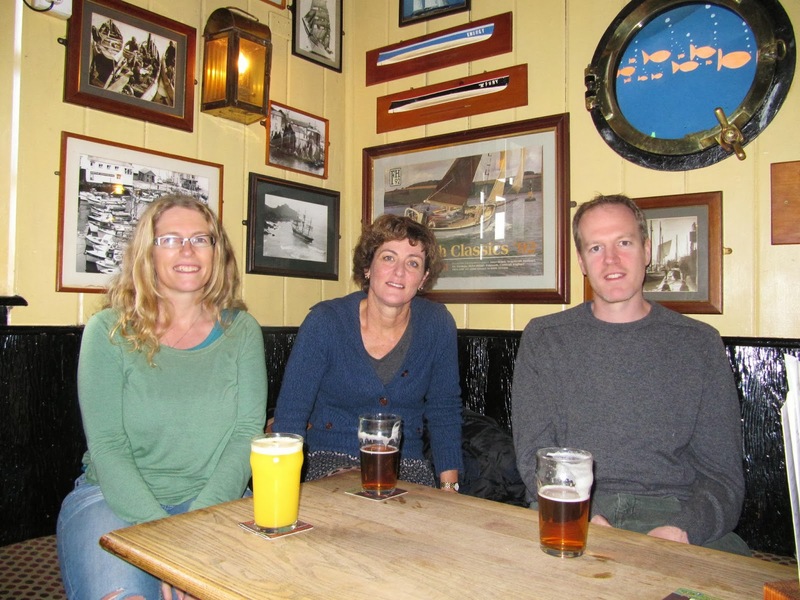 Diana had travelled all the way from Brisbane to Falmouth for a 2-day meeting at Camborne School of Mines. She was representing the JKTech on the Sandwik SIMS programme. In this post-graduate programme Sandwik provides academic support for over 20 research projects per year, developing a cohort of high performing key staff with effective networking and shared technical skills. The aim is to provide participants with a well founded academic and job oriented specialisation and intensified education in the field of raw materials extraction and all associated scientific disciplines with regard to international standards and practices. The course is addressed especially to engineers who are interested in getting an additional qualification in the field of raw materials extraction with regard to national and international practices in raw materials industries including related fields in the economics and social environment of this industry. The course consists of five modules and lasts two years. It is completed with a project work and a thesis presentation and awarded with 62 ECTS points. After the successful completion of this course the participants are granted the academic postgraduate degree of an "International Mining and Construction Engineer". More information can be found on the SIMS website. Is anyone researching liberation enhancement? With energy costs rising rapidly, the need to reduce energy consumption is one of the big drivers behind current comminution research. Comminution '14 will show how this might be achieved by innovations in grinding technology and circuits, and pre-concentration. In deciding whether there is any hope for significant improvement in comminution energy efficiency, a keynote lecture from Prof. Tim Napier-Munn, former Director of the JKMRC, will consider the key technical and cultural impediments to progress, and speculate on how the innovation process may yet provide the long-sought paradigm change. The keynote will show that, despite intensive research, and early claims of high energy efficiencies, HPGRs have still only succeeded in niche applications in mineral processing after 30 years of trying. AG/SAG mills have dominated grinding because of their capital efficiency and operability rather than their energy efficiency. Stirred mills have been a genuine innovation in fine grinding but even they are prodigious consumers of specific energy. As Tim will show, we still do not know enough about the physics of the fracture of heterogeneous brittle materials such as mineral ores. Comminution science is really a branch of materials science, but materials scientists, unlike minerals engineers, are only interested in the fracture event itself (read ‘failure event’), not the nature of the products of fracture. The main job of comminution is mineral liberation, and recent research has taught us that liberation is a product of the texture of the ore and to only a limited extent the fracture mechanism. So who is researching the fundamentals of breakage at the moment, with a view to enhancing mineral liberation? There was a lot of interest in liberation enhancement in the 1980s, and in 1993 I co-authored a paper, published in Minerals Engineering, which considered the need to research more deeply the mechanisms of the breakage processes, particularly the promotion of intergranular fracture. In order to do this, control of crack propagation, and the nature and role of grain boundaries, were considered to be areas deserving most attention. My notes below refer to aspects of that paper. High throughput comminution machines liberate minerals relatively inefficiently and inadequate liberation in itself leads to higher energy consumptions, as finer grinding has to be performed in order to achieve an adequate degree of liberation. This also leads to the generation of ultra-fine slimes particles, which may be lost in the downstream process. More research is needed into the mechanisms of the breakage process in these machines, particularly into the promotion of intergranular, rather than transgranular fracture. The inhomogeneity and non-perfect elasticity of rocks make crack generation and propagation studies in them difficult and tbese difficulties apply equally to ores which contain more than one mineral species. Despite these difficulties, fracture creation in such complex ores needs clearer definition as it must be recognised a priori that the generation of intergranular fractures is the key to successful liberation. Brittle materials such as rock and glass break with little plastic deformation, deforming elastically to the instant of fracture. The tensile strength of such materials is much less than that predicted theoretically, which led Griffith to postulate that the low observed strengths were due to the presence of small cracks or flaws, the extremities of these cracks acting as stress raisers . Griffith assumed that the theoretical stress was obtained at the end of the crack, even though the average stress was still far below the theoretical strength. Fracture, according to this concept, occurs when the stress at the ends of the cracks exceeds the theoretical stress, and when this occurs the crack is able to expand catastrophically. The failure of a brittle solid such as rock is therefore caused by the extension of Griffith cracks which are inherent in the material. The energy required to create new crack surface is supplied from the work done by external forces, by release of stored strain energy in the solid, or a combination of these two sources. Plastic deformation in the vicinity of the crack tip and the need to overcome the surface energy of new crack surface can ensure stable growth of a crack under external forces, but above a critical crack length, the stored potential energy becomes greater than the resistance to crack extension (i.e. 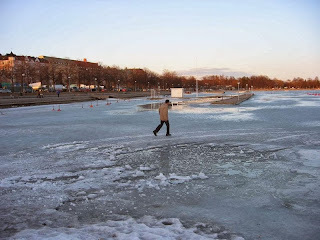 surface energy) and the crack will accelerate (unstable propagation), and failure will be inevitable, after which excess stored strain energy will be released as heat. 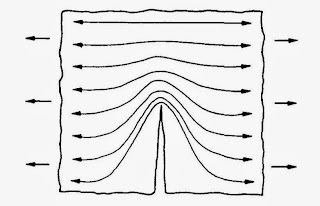 As the shock waves of the crack movement have to be dissipated through the material, the maximum theoretical speed of a crack tip is the speed of sound in that material, and it has been shown that if there is sufficient localised stress, the propagation speed of a crack can approach 40 % of the speed of sound. All rocks contain inherent cracks, derived from many sources, due to the appreciable mechanical, thermal and chemical actions to which they have been subjected over many millions of years. There is also evidence to show that when rock is removed from the earth, particularly from depth, stress relief initiates nucleation of new, and growth of existing cracks, due to the release of the stored compressive strain energy, it being well known that quartz from depth is easier to crush than that from nearer the surface. New cracks are also produced in crushing and grinding, but as the particle size decreases the proportion of cracks above the critical crack length decreases, so that fine particles are characteristically more difficult to comminute. Crystal boundaries are regions of misfit or disorder between crystals, and it would be expected that such areas should be relatively weak in relation to the ordered crystal lattices. Despite this they can act as barriers to propagation of cracks, in the same manner as grain boundaries in metals are known to impede the motion of dislocations along slip planes. That crystal boundaries act as inhibitors to crack propagation is evidenced by the greater fracture toughness of fine-grained compared with coarse-grained rocks. In most comminution operations, however, cracks appear to be little influenced by grain boundaries, the grains often being cleft across, producing a low degree of liberation. This has led many minerals engineers to conclude that boundaries are a source of strength. However, as has been shown, existing cracks, and others developed from flaws in the matrix, can propagate at very high speed when excess strain energy is put into the lattice. This is the case with all current comminution processes. Cracks moving at such high speeds therefore tend to ignore obstacles in their path, even though these may be paths of lower resistance. This is analogous to an axe moving at high speed through wood, tending to ignore knots and flaws, thus moving in a straight line. A saw moving much more slowly tends to have its blade deflected by such areas. 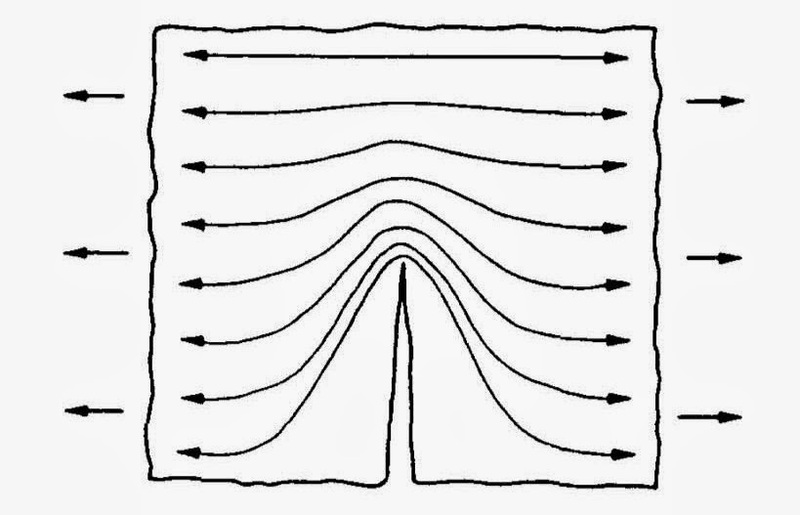 A crack moving slowly in a rock (stable propagation) would be expected to similarly exploit grain boundary weaknesses as paths of least resistance, particularly as cracks propagate along grain boundaries at low velocities. Evidence for stable crack propagation exploiting grain boundary weakness is the high degree of liberation found in secondary alluvial deposits. The minerals in these deposits have been released from the primary source by millions of years of chemical and mechanical weathering, the minimal strain energies extending cracks in a stable fashion, and breaking the rock eventually around the grain boundaries in a manner similar to the stress-corrosion cracking of metals. It is likely that the strain energy is sufficient only to move existing cracks rather than produce new ones, such that the final result is not only liberated, but also crack free, minerals. Good evidence for this is the high proportion of gem (flawless) diamonds which are found in placer deposits such as those in Namibia, transported by rivers many hundreds of kilometres from the primary source. An ideal comminution process would therefore impart only sufficient strain energy to create stable propagation of existing cracks to liberate minerals at grain boundaries, but would leave the material stress free after comminution, preventing nucleation of further major cracks in the matrix. However conventional crushing and grinding machines comminute rocks by the application of massive successive stresses. When the rock breaks, the large amount of excess strain energy in the bulk of the lattice is dissipated as heat, and the excess energy causes cracks to propagate in an unstable fashion and accelerate rapidly. There is some evidence to show that mineral liberation can be improved using HPGR. The high compressive stresses, acting on a compacted bed of material, may effectively seal micro-cracks, therefore allowing plastic strain to occur, with the associated flow of dislocations, which could pile up at grain boundaries, coalesce and promote intergranular cracking. It is interesting to note that when the pressure is released, and the rock examined, many microcracks are observed, which substantially reduce the work index of the rock. In some eases, these cracks have been observed at the grain boundaries, and this has been exploited in some kimberlite processing plants to enhance the liberation of the diamonds without breaking the valuable larger stones. The method simulating most closely the gentle mechanical action of alluvial formation is autogenous grinding, and there is evidence to show that liberation is improved over steel grinding. Several tests have shown that ores ground autogenously float faster and with better selectivity than if ground conventionally. The arguments often put forward to support enhanced liberation, such as abrasion of the matrix exposing the stronger mineral grains, are not, however, convincing. It seems more likely that slow crack propagation occurs, due to rapid unstable crack acceleration being inhibited by minimisation of the stored lattice strain energy. The cracks are thus able to exploit the inherent boundary weaknesses in finding paths of least resistance. Returning to the analogy with placer deposits, what is needed is a process similar to physical weathering to weaken the grain boundaries, to facilitate the subsequent liberation. 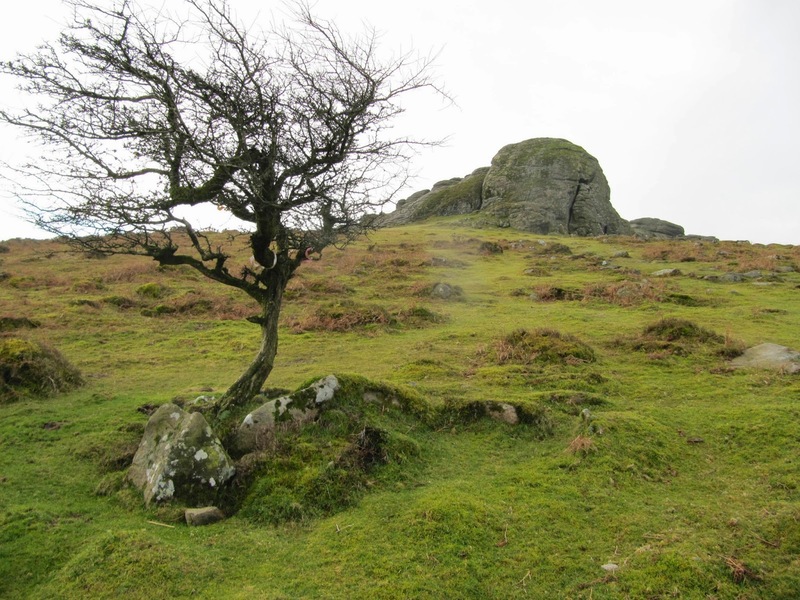 In the mid 80s work was carried out at Camborne School of Mines and the University of Birmingham on the use of prior treatment to weaken the rock, preferably at the crystal boundaries. It was hoped that heat treatment would promote grain boundary weakening due to differing thermal expansion rates of the different phases in neighbouring grains, which effectively "loosens" the crystals in the matrix. If this is so, then this effect could be enhanced in mineral assemblies, where near neighbours may have widely differing coefficients of thermal expansion. Heat treatment could, therefore, have potential for weakening rock prior to grinding. A number of studies were directed at an evaluation of thermally-assisted liberation as a means to improve mineral recovery. At CSM we heated a hard-rock tin ore to 600°C, before quenching it in water. The differential expansion and contraction promoted significant intergranular cracking and a 55 % reduction in grinding resistance caused by the weakening of the rock matrix. An economic evaluation showed that only a 1% improvement in tin recovery would have made such treatment economically viable, as the increase in smelter revenue, together with the reduction in grinding energy, would offset the energy required to heat the ore. We were obviously excited with this finding, but the results of testwork to assess liberation improvements after conventional steel grinding were disappointing. It was suggested, however, that heat treatment could have potential as a prelude to the gentler action of autogenous grinding, the autogenous mill making use not only of the boundary weakening, but also of the weakened matrix; the gentler action also preventing the critical growth of the transgranular microfractures. Is anyone out there working on the fundamentals of mineral breakage, aimed at liberation enhancement? We are pleased that the MEI Flotation conferences have become, as described recently by Prof. Cyril O'Connor, Chairman of the IMPC, 'must attend' events for flotation researchers and practitioners from around the world. Last November's Flotation ’13, the 6th in the series, was attended by 257 delegates from 28 countries, with sponsorship from 17 companies. 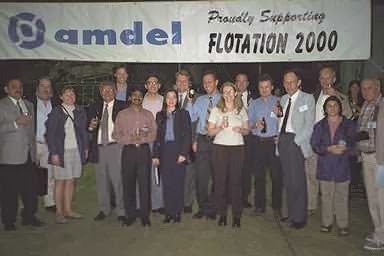 Thirteen years ago, the first in the series, Flotation 2000, was held in Adelaide, Australia. 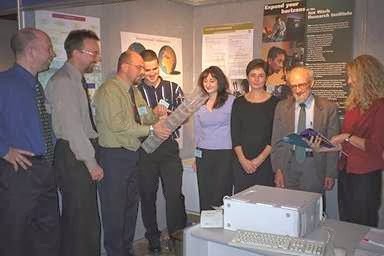 The 3-day conference was jointly hosted by the Ian Wark Research Institute located in Adelaide and the Julius Krutschnitt Mineral Research Centre located in Brisbane. 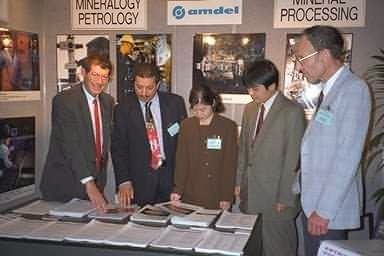 Sponsors of the conference were AMDEL, AMIRA, Baker Process and CSIRO. The conference attracted over 170 delegates representing 17 different countries. Delegates to the conference were provided tours to AMDEL’s laboratories and pilot plant for wine tasting and to the Ian Wark Research Institute to view the research facilities there. 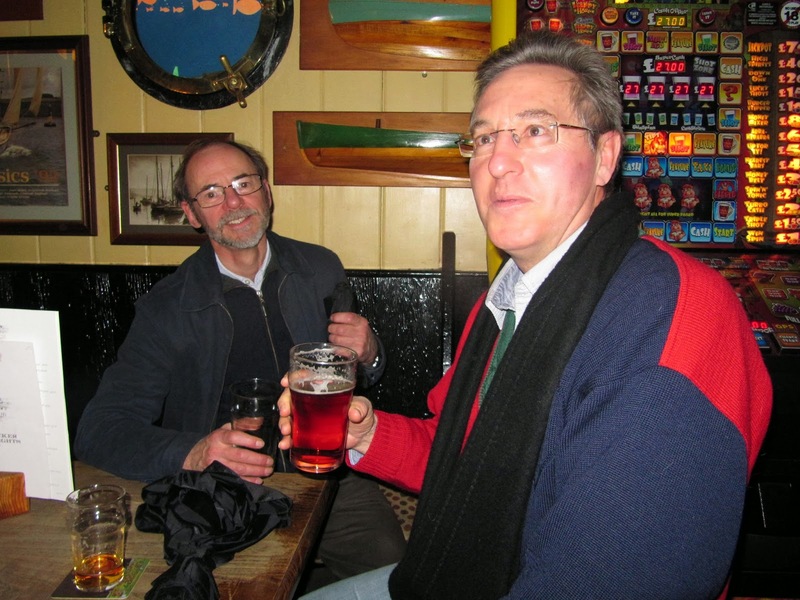 Due to the AusIMM’s Centenary of Flotation Symposium in 2005, there was then a 4-year gap before the next conference in the series. During that time we had been running conferences at the Mount Nelson Hotel in Cape Town, but in 2006 stumbled on a venue tailor-made for our events, the Vineyard Hotel at Claremont, nestling under Table Mountain. Flotation ’07 was the first MEI Conference to be held at the Vineyard and was attended by 195 delegates from 18 countries, with 11 companies providing corporate support. It was also the first in the series to adopt our now familiar 4-days, split into symposia on Fundamentals and Applications. Feedback from delegates was encouraging and suggested that we might have hit on a winning formula. The conferences then became biennial, Flotation ’09 being attended by 193 delegates and Flotation ’11 by 283, currently the highest ever for a MEI Conference. In closing Flotation '13, consultants Dee Bradshaw and J.-P. Franzidis stressed the important role that these events now have in bringing together flotation people from around the globe every two years. They are unique, neither academic nor operators' events, but an ideal blend of the two. The consistently high turnout for these biennial conferences is testimony to the continuing importance of flotation in the minerals industry. Despite being patented over 100 years ago, there are still developments taking place in new and existing reagents, flotation machines, the way that we control and optimise the process and in our understanding of the fundamental physics and chemistry of the process. No doubt there will be many more developments and innovations before Flotation '15, which we look forward to, and which has got off to a flying start with six major sponsors already on board. Only a few days ago I was talking of the awesome power of nature, and how SW England has suffered under a series of record-breaking storms. There was no evidence of this yesterday in Falmouth. The crowds were out on the beaches, I ate my regular Saturday pasty by the quayside, and this was the idyllic scene looking over the Fal estuary towards the Roseland Peninsula. Hopefully a sign that things are settling down now. 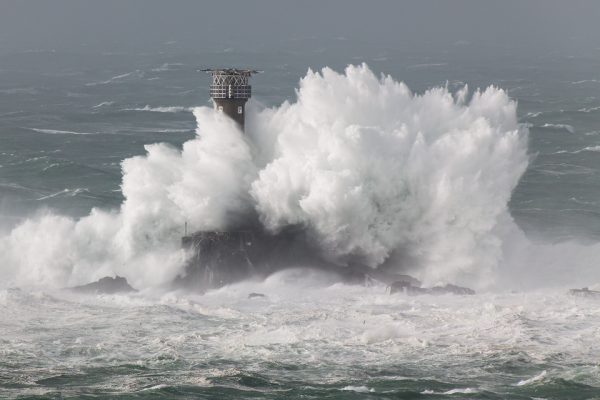 Most people are aware that Cornwall, and much of South-West England, has been buffeted in recent weeks by a never-ending series of storms, the worst since records began. They have led to widespread damage, flooding and loss of life, so I would like to thank all of you who asked of our welfare, and assure you that we are fine here in Falmouth. Lying in the lee of the Lizard peninsula, Falmouth Bay has been relatively sheltered, but last night we had one of the most awesome storms that we have ever known, the thunder and lightning being reminiscent of our time in Africa. The seas, particularly around the north coast, have been spectacular. 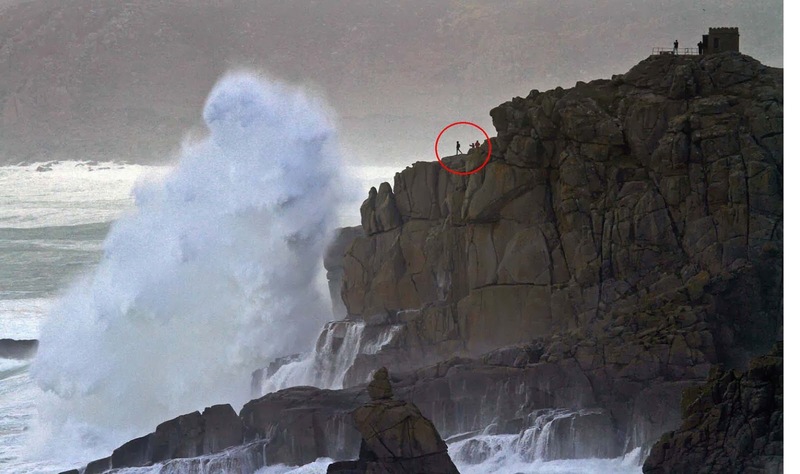 The photo below was taken at Land's End yesterday, the storm watchers being dwarfed by the huge waves rocking the granite cliffs. 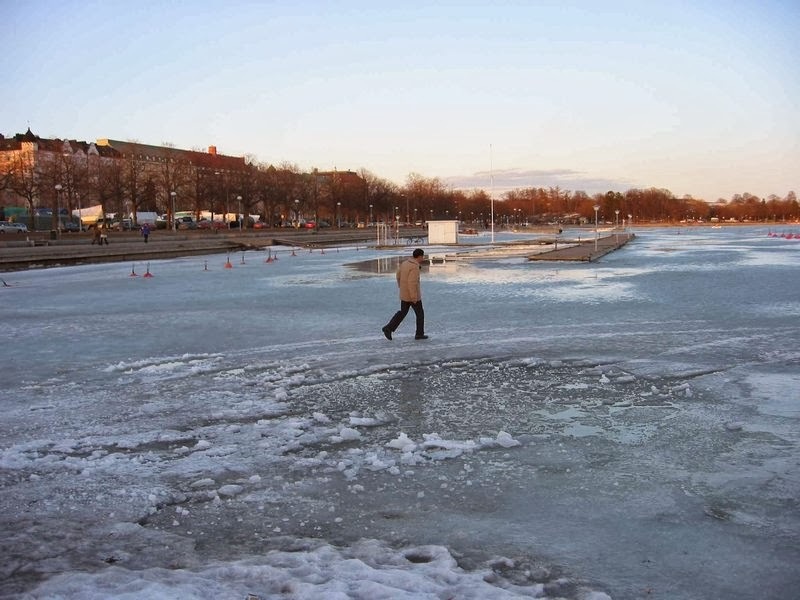 Hopefully things are calming down now, but our thoughts are with our friends in America who are also experiencing extreme weather at the moment. Leading up to Comminution ’14 in April, I highly recommend a paper recently published in Minerals Engineering, by workers at the University of Newcastle, Australia. “Mine operating costs and the potential impacts of energy and grinding” highlights that savings in milling costs will significantly affect total mine operating costs. The paper shows that energy costs typically comprise one of the largest on-going costs of mining operations, of which 70% is devoted to the comminution of the ore. Furthermore, the most significant energy cost occurs in the grinding circuit, where up to 97% of the energy cost is incurred. Indeed, the area of comminution, and particularly grinding, are flagged as areas where significant savings can be made in mineral processing circuits. In a summary of comminution needs for reduced energy use, the paper indicates that pre-concentration, greater emphasis on crushing, improved grinding technologies and mineral separations at coarser grind sizes are required to achieve significant savings in overall comminution costs. Innovation in particle reduction technologies has been an area of active research for some time, with new grinding technologies such as the IsaMill and high pressure grinding rolls (HPGRs). HPGRs in particular show promise in improving the efficiency of grinding at the head of the circuit, where the greatest savings may be made. It has been shown, for example, that the replacement of a SAG mill with a HPGR in a conventional SAG-ball circuit may reduce grinding energy consumption by 15–20%. Taking into account additional savings, such as media and liner wear, it was found that a grinding cost saving of 25–35% was potentially achievable with the use of HPGRs in such conventional circuits. Other studies have found the applicability of HPGRs dependent on ore characteristics. HPGR technology remains a fertile area for achieving significantly reduced comminution costs. We always look forward to a new year with optimism, so let's hope that the minerals industry will ease out of its recession in 2014. Although gold and platinum group metals show no real signs of recovery, there are recent signs of improvement in the base metals sector, particularly copper, lead and zinc. No matter what the state of the industry, there will always be a need for people to come together to discuss common problems and seek innovations, and there are some fine conferences on the horizon. The full list of MEI Conferences for 2014 and 2015 is now available. Coming up in Cape Town in April is Comminution '14, which promises to be the biggest yet in this rapidly evolving area of mineral processing. The full technical and social programme has been published, and registration is now open. 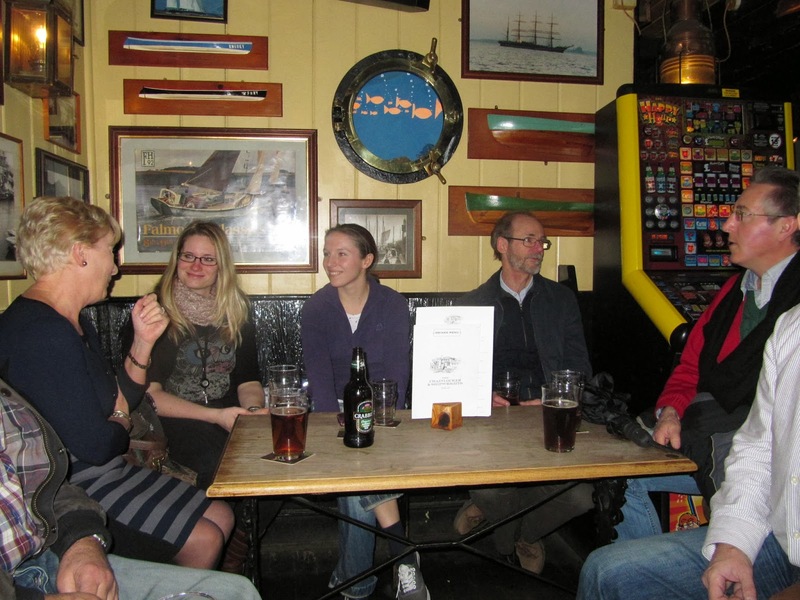 We are in Falmouth in June for Biohydromet '14 and SRCR '14. The programmes for these conferences will be drafted in a couple of weeks' time, so please submit your abstracts now if you wish to present papers. Then in November we are back in Cape Town for Process Mineralogy '14, an area of mineral processing which continues to grow in importance. The main event in 2014 will, of course, be the International Mineral Processing Congress in October, which will be held this year in Santiago, Chile. MEI is a media partner, and so we will be in attendance, as we will at next month's SME Annual Meeting in Salt Lake City, and The AusIMM's Mill Operators Conference in September. So an exciting year ahead, and we look forward to catching up with you at one, or more, of these events.